Slovakia adopted the euro as its currency on 1 January 2009 and so became the sixteenth member of the euro area. The euro introduction marked the culmination of the country’s integration into the European Union, which began in 2004 with EU accession and continued in 2007 when Slovakia joined the Schengen Area. These steps in the integration process brought Slovakia and its citizens many benefits, in particular free movement of people, goods, services and capital. The euro is seen as a stable currency that makes cross-border payments easier and cheaper, supports price awareness, and attracts new foreign investors. At the same time, it allows people to travel to euro area countries and several other European countries without having to exchange national currencies. The euro currency consists of seven banknote and eight coin denominations. Each banknote denomination has a uniform design, while the euro coins have one common side and one national side, with each euro area country having its own national design. 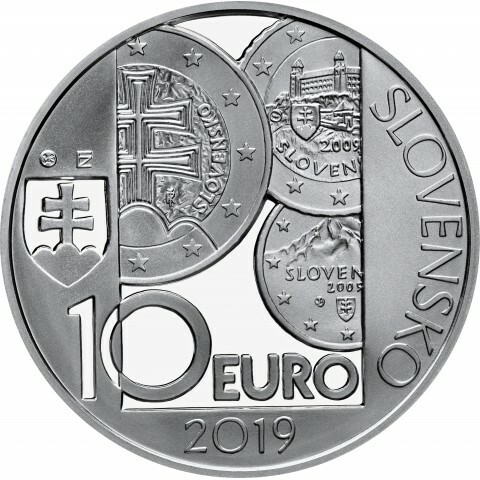 The coin’s obverse side shows details from the national sides of Slovak circulation euro coins, including all three motifs: the double cross on three hills, Bratislava Castle, and Kriváň peak. On the left side there is the Slovak coat of arms, and on the right side, in semicircle, the name of the issuing country ‘SLOVENSKO’. 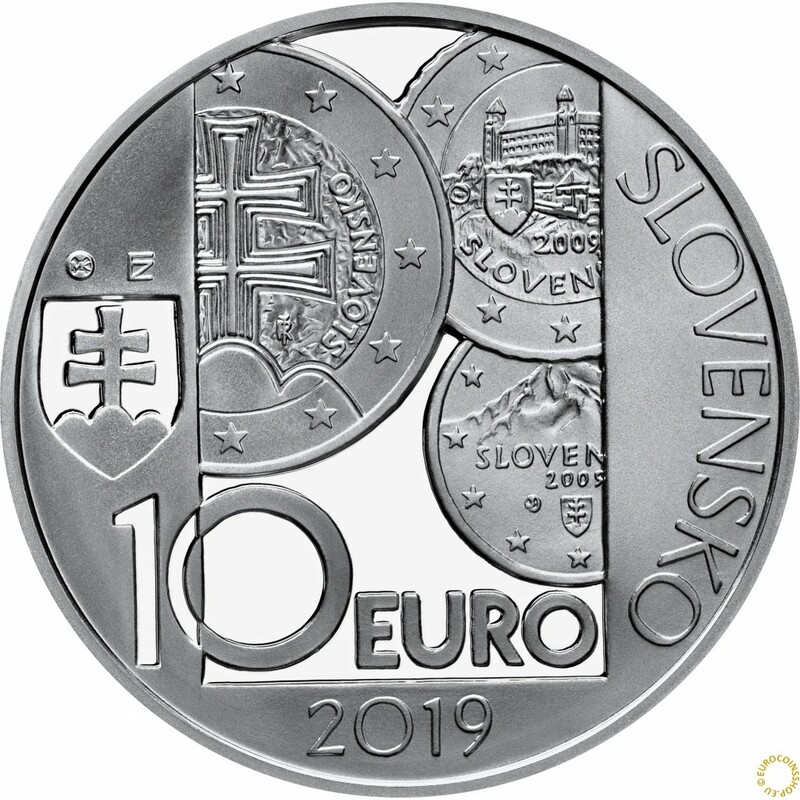 The denomination and name of the currency ’10 EURO’ appear in the lower part of the design, above the year of issuance ‘2019’. On the left, above the coat of arms, are the mint mark of the Kremnica Mint (Mincovňa Kremnica) – consisting of the letters ‘MK’ placed between two dies – and the stylised letters ‘ZF’, the initials of the designer, Zbyněk Fojtů. The reverse depicts an incuse map of Slovakia framed within a euro symbol. Above the map is the date of the introduction of the euro in Slovakia ‘1. 1. 2009’. 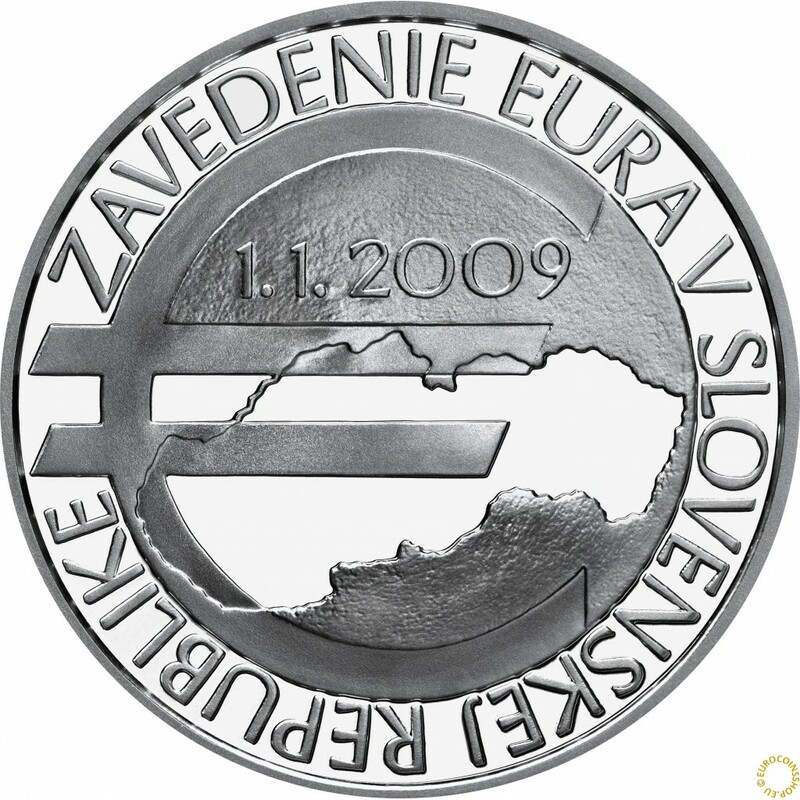 Around the euro symbol is the circular inscription ‘ZAVEDENIE EURA V SLOVENSKEJ REPUBLIKE’ (‘Introduction of the euro in the Slovak Republic’).